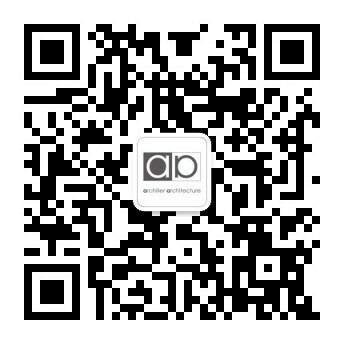 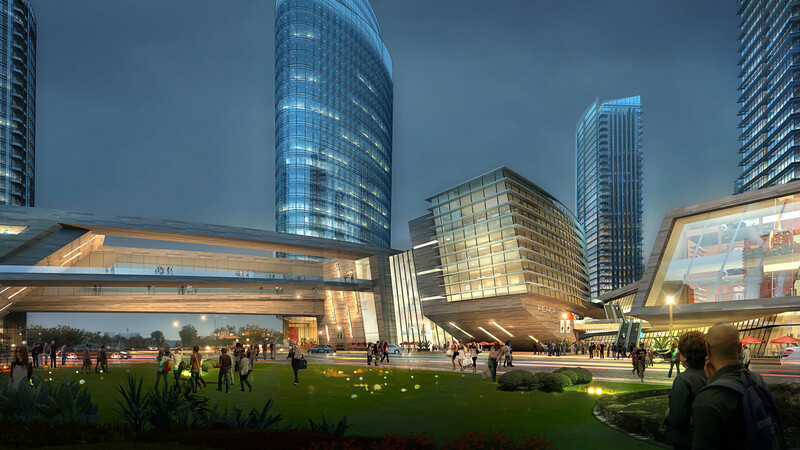 The Ningbo Yuanda 2-city block, mixed-use development creates an active and vibrant commercial zone along the center of the site, with a separate, quieter zone on the river’s edge for luxury residential. 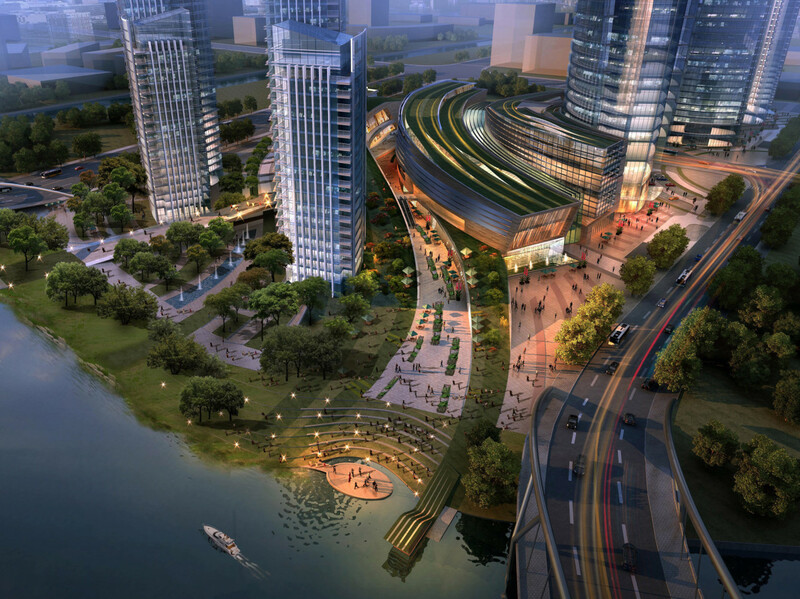 Creating a strong connection, interaction and communal link between the residential and commercial areas was the key design strategy when conceiving this design plan. 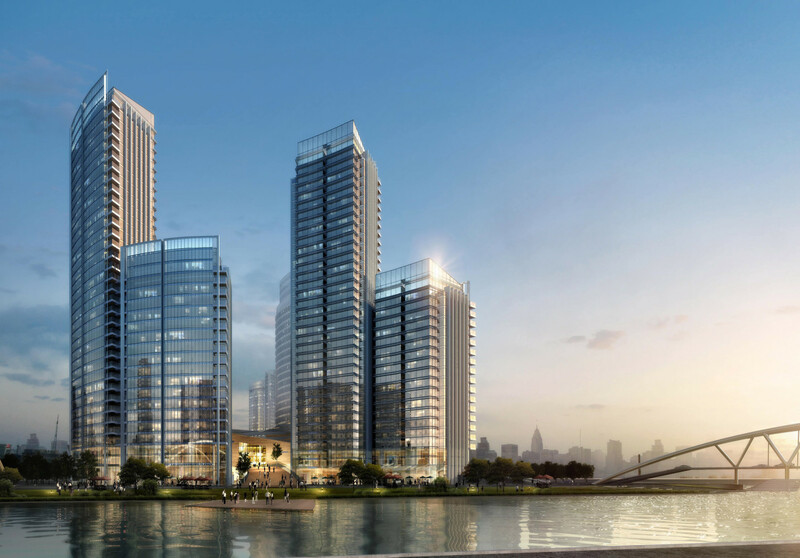 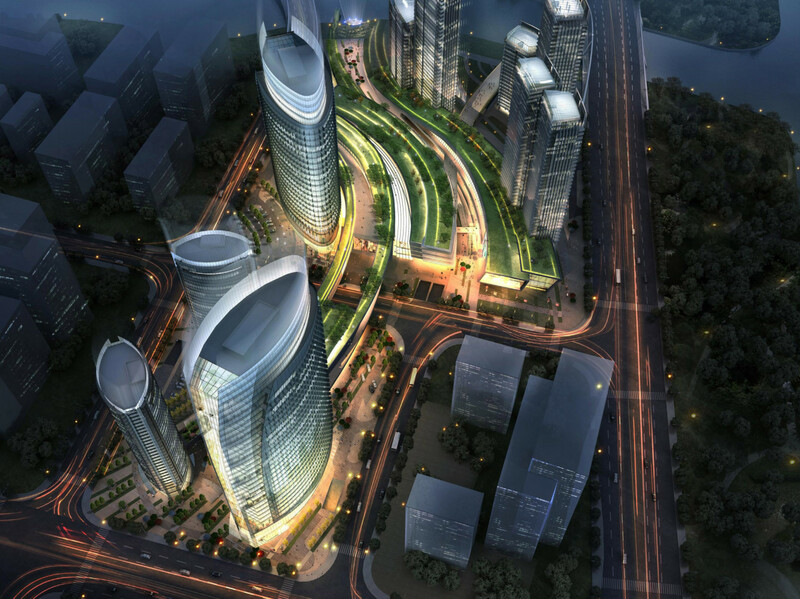 The Yuanda Development landmark office tower anchors the main entry while the retail programs create dynamic layers connecting the urban nodes with the riverfront promenade.